← Sticks and Bricks – Extraordinaire! The ranger explained that Lake Cachuma holds drinking water for area communities and no humans are allowed to have contact with the water. Although interesting, it didn’t effect our pontoon boat cruise. We had seats that turned 360 degrees, for great viewing of the multitude of wildlife. 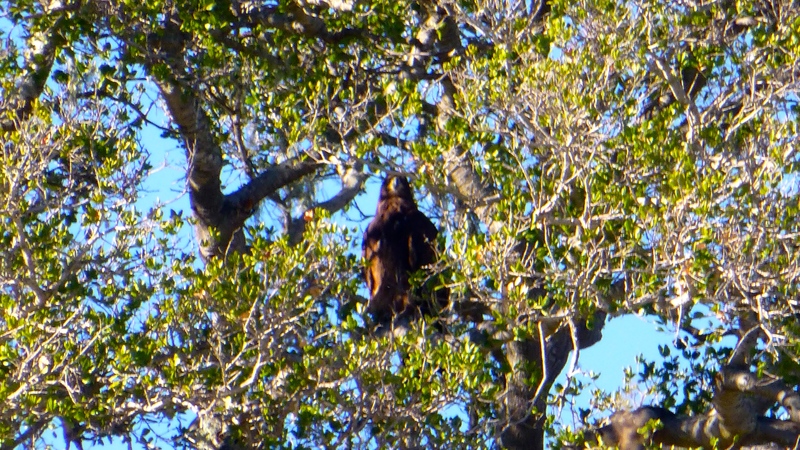 We saw racing grebes, bald eagles and a golden eagle. 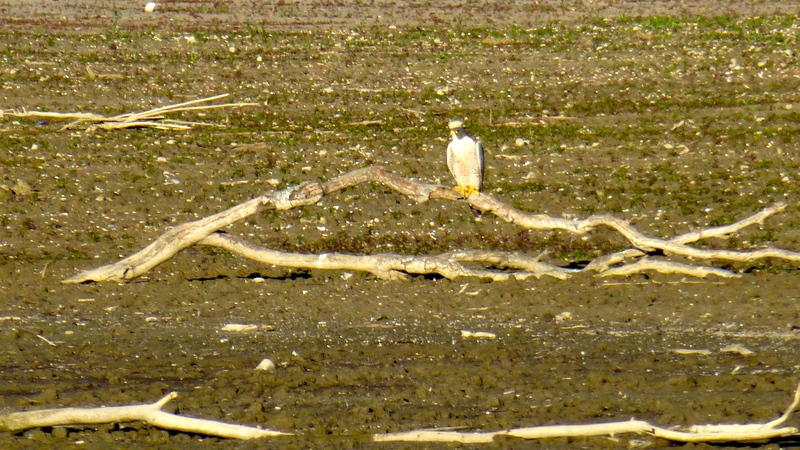 We saw deer, red tail hawks, and a peregrine falcon. 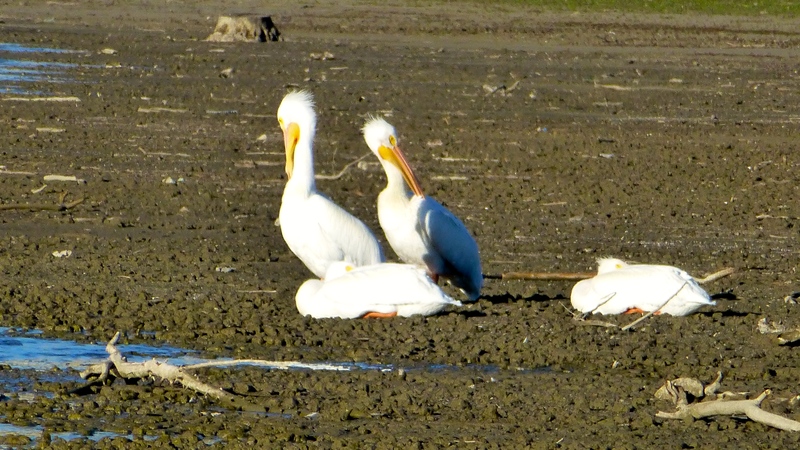 We saw white pelicans and learned that white pelicans live near fresh water and brown pelicans live near salt water. We also learned that, in general, if the male and female birds look the same, then they are both involved in baby feeding/rearing. We really aren’t bird people but had a wonderful time being on the water and learning a bit about birds. 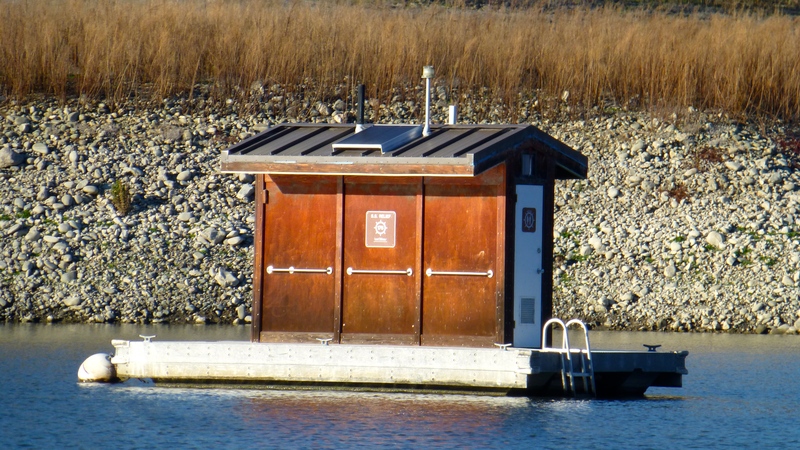 We also saw a floating outhouse, the SS Relief. 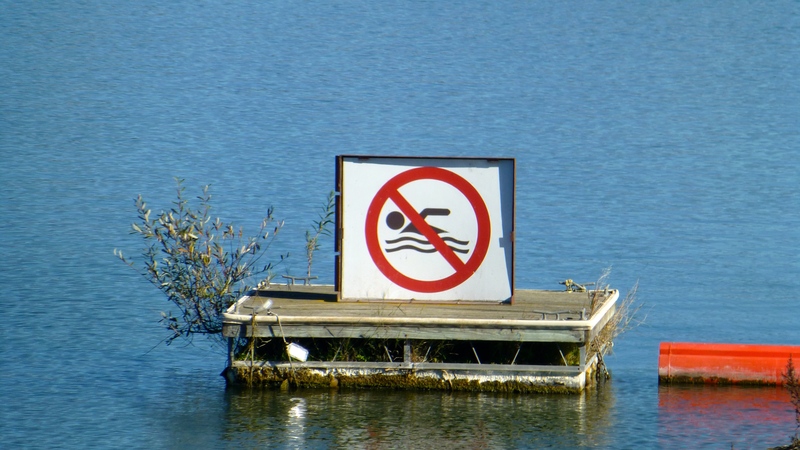 The “no body contact with the water” rule is not isolated to that one reservoir. Although we don’t know how prevalent the rule is, we did see it in reference to a second lake. Diamond Valley Lake is a man made reservoir designed to hold an 8 month emergency water supply for Los Angeles. 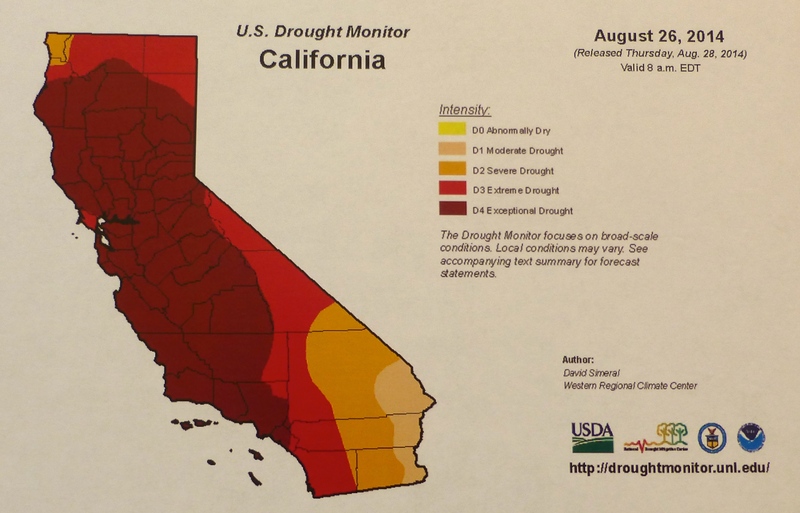 We thought this chart about drought levels was sadly interesting. 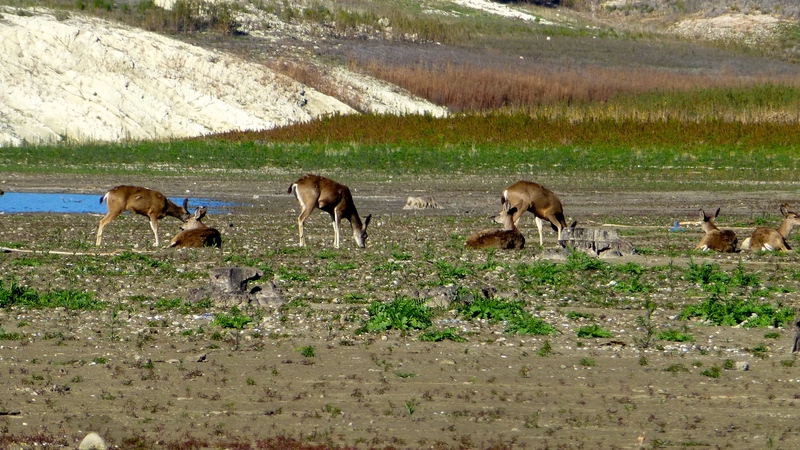 Archaeologists, paleontologists and construction operators worked together during the building of Diamond Valley Lake. When blasting or earth moving equipment would reveal something of interest, the archaeologists would move in to map and gather the artifacts. There were artifacts from European settlers beginning in the 1800s and from native peoples prior to that. As the depth increased, the paleontologists became involved. The Western Science Center has fossil bones found during the dig. They have bones for a mammoth named Xena, and also for Max, the largest mastodon found in the US. 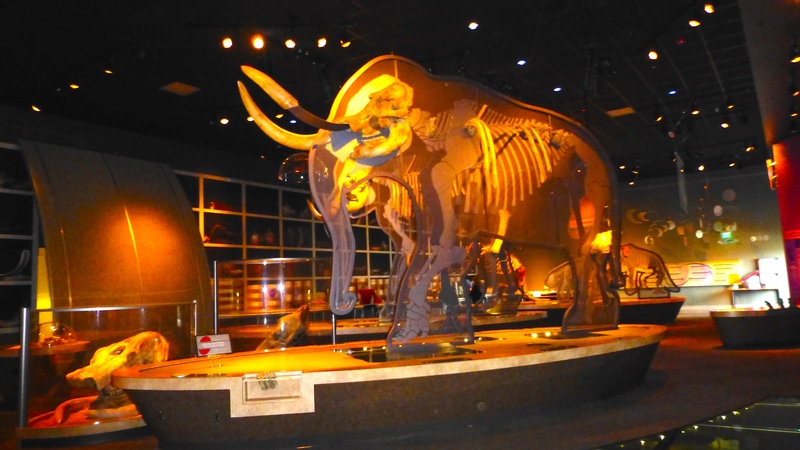 They have 60% of Little Stevie’s bones, also a mastodon, making him the most complete skeleton ever recovered. We thoroughly enjoyed our stay at Rancho Oso near Santa Barbara. Rancho Oso is a working horse ranch offering rides and training etc. but also has an RV park. We loved the rural feel. 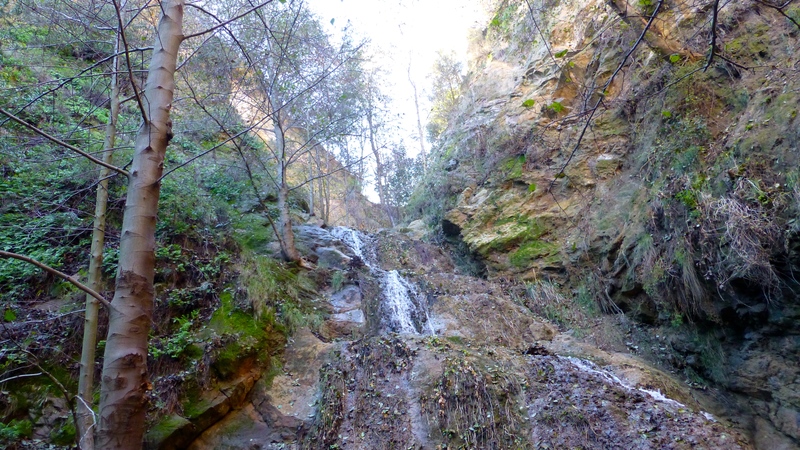 We were able to hike to a waterfall that had a little water coming down. 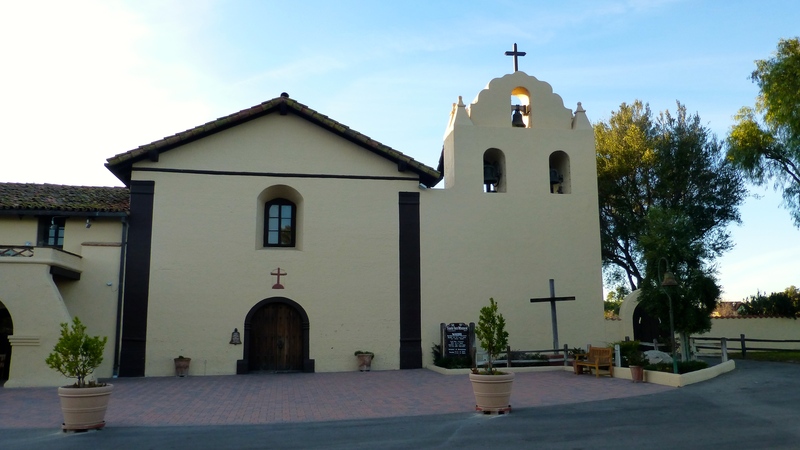 We traveled to the Danish town of Solvang and went to Mission Santa Inez, founded in 1804. 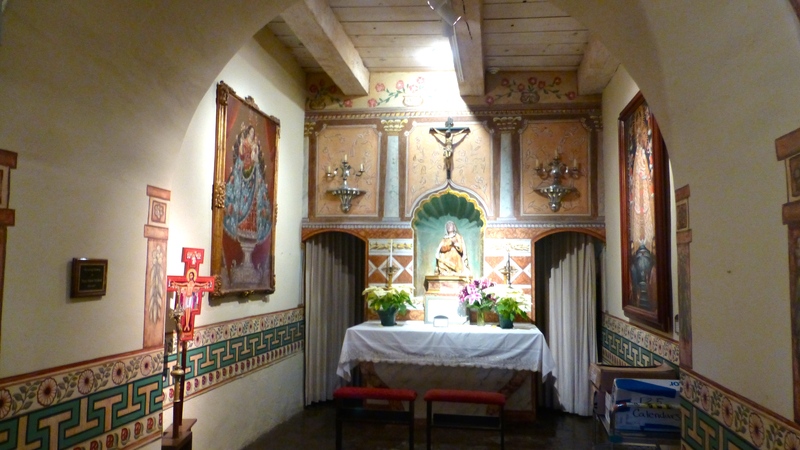 It was the nineteenth of the 21 California missions established by Franciscan priests between 1769 to 1823. 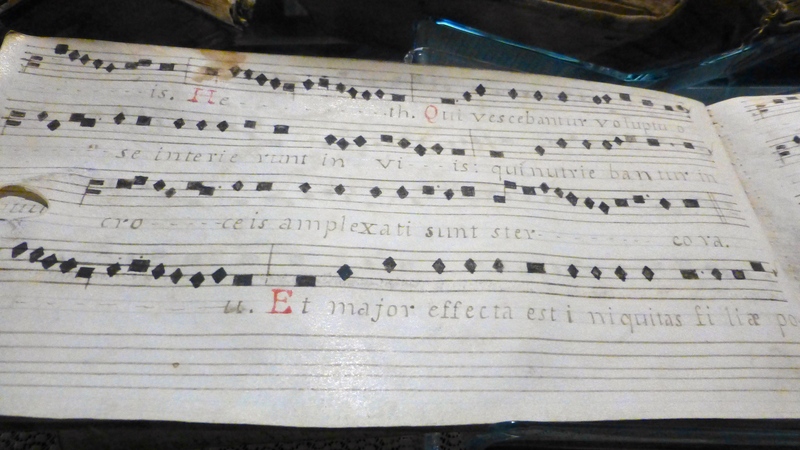 It has quite a collection of artwork, paintings, statues, vestments, manuscripts, and artifacts. I loved the old sheet music. We had dinner at a restaurant that specializes in Split Pea Soup! 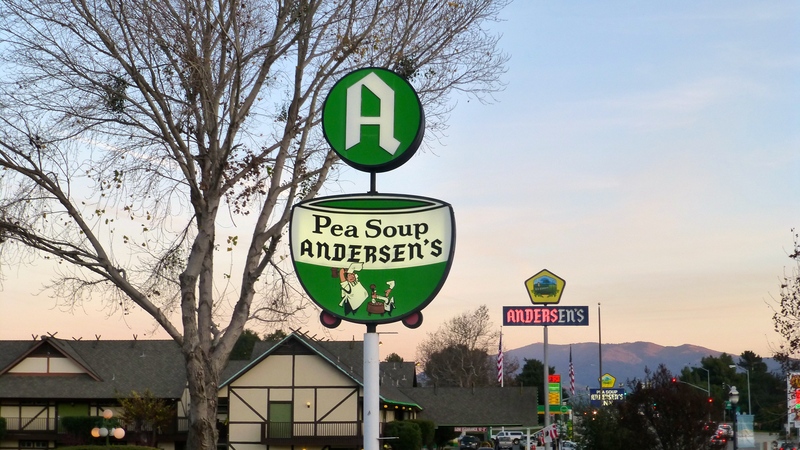 Last fall when we were driving California highways, we saw billboards advertising Famous Pea Soup at Anderson restaurants and thought that was so strange. When we discovered we were close to one of their two restaurants, I thought we had to check it out. The pea soup was yummy, as advertised. 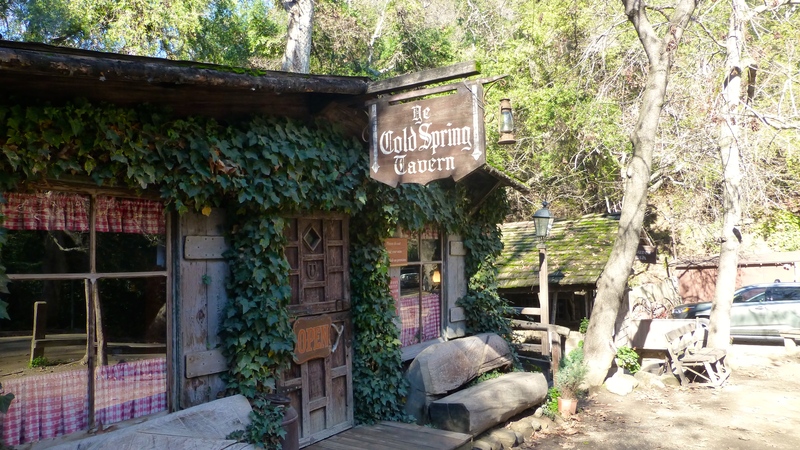 Another day we ate at the Cold Spring Tavern. It is an old stagecoach stop from the mid 1800s, and appears as though it hasn’t been updated much. It is very trendy and reservations are required for dinner, but we went for lunch. It was quite dark inside during the day, I can’t imagine what it would be like later. Definitely mood lighting! 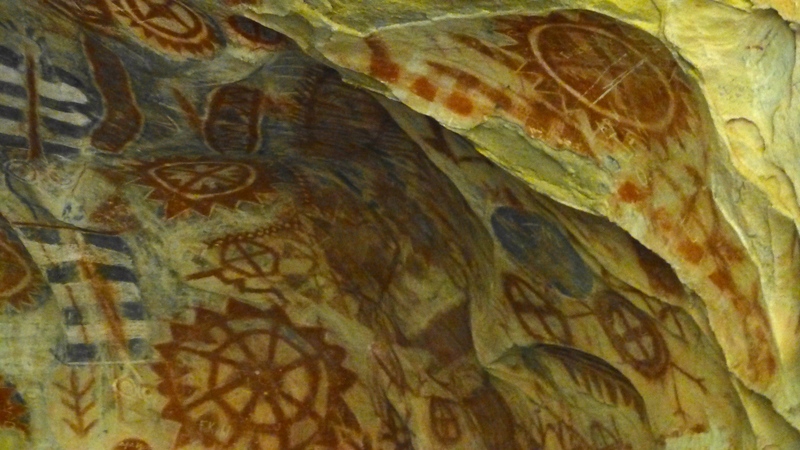 We also visited Chumash Painted Cave State Park near Santa Barbara. Lest you think it is all fun and games, the area around our current park near Menifee, California is a lot less interesting! Most of the above activities were near Rancho Oso/Santa Barbara. This stay was highlighted by the Diamond Valley Lake/Western Science Center and meeting other folks in the campground. When we first arrived, as we were driving around looking for a place to park our trailer, we met another couple on their way out. Randy said “I know you.” He reads blogs and watches videos put out by other RVers. The couple we met are responsible for http://www.rvlove.com and he recognized them from their videos. It was an enjoyable chat. We also were invited to Happy Hour by our neighbors in the RV Park. They are 4 couples who travel together from Independence, Oregon. Boise State football fans might know that former quarterback, Grant Hedrick, comes from Independence, Oregon so that was a nice connection. We also enjoyed one of our favorite campground Sunday Worship Services. Most Thousand Trails Parks have Sunday services on site, and this was an especially good one. Otherwise, this stop has been more mundane: trips to Costco and the grocery store, washing the trailer outside, cleaning it inside, and trying to figure out why our washer/dryer no longer dries efficiently. Unfortunately, we also spent time trying to figure out if the two “things” I found under the sink, that look like they might be mouse droppings, were left over from our mouse last fall, or if we have a new tagalong. The jury is still out on that one….Mouse prevention went into a higher gear again! Tomorrow we move to Palm Springs, our last stop in California. I’m wondering what other uniquely Californian discoveries we will find. There were Elko arrowheads that I took a picture of, but the blog just kept getting longer and longer. I don’t want people to groan when they see it!